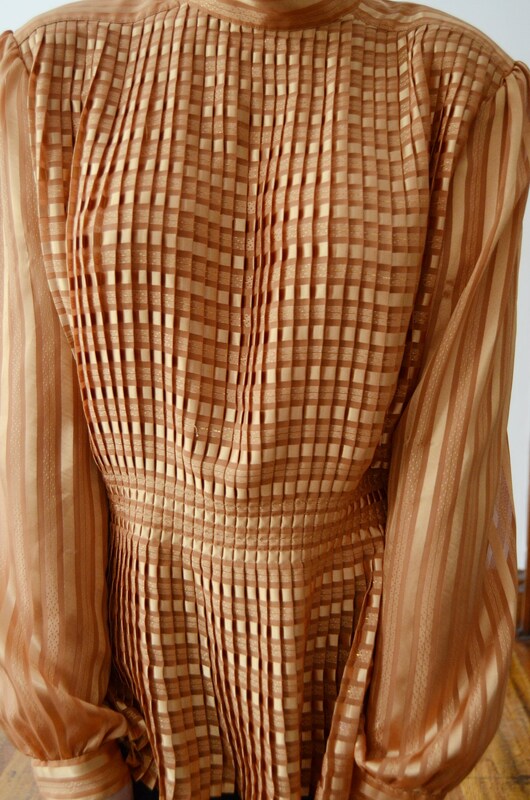 Description: A beautifully pleated blouse made from silky semi sheer fabric. 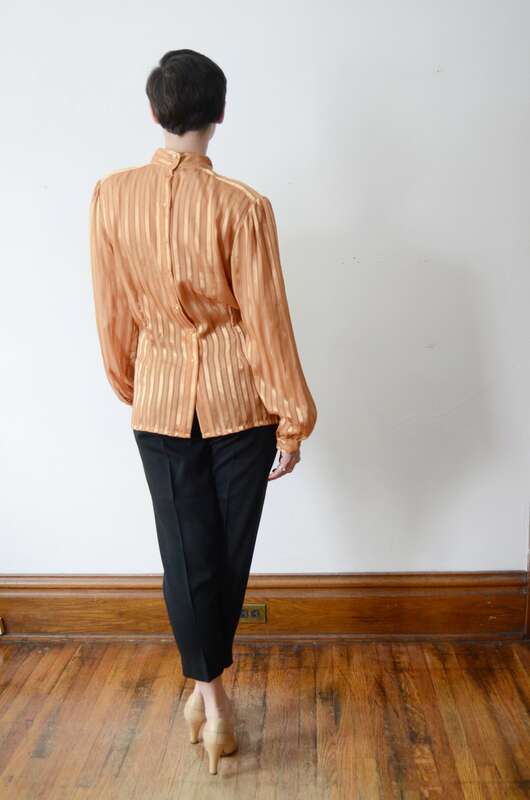 Buttons up the back, and has shoulder pads. The color photographed a bit warm to me, in person it looks like a golden rod yellow. 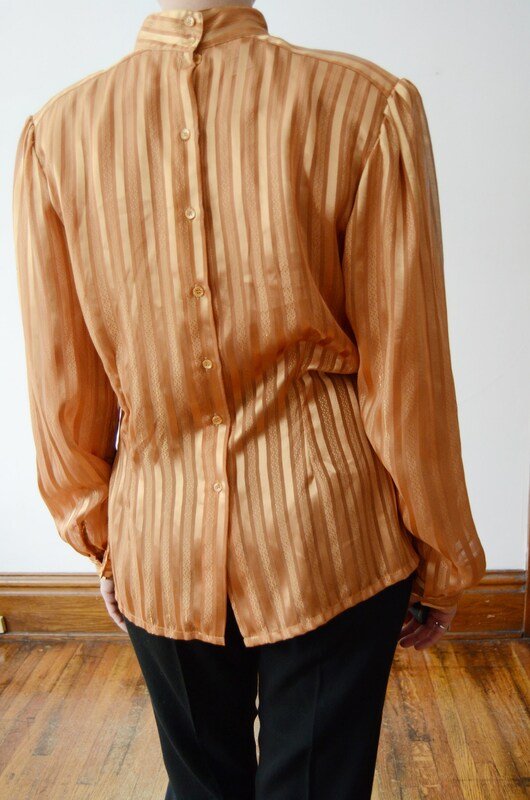 Condition: Nearly excellent, there were a couple little pinholes in the back of the blouse so I added two back darts to strengthen the piece and hide the holes. Helped give it a bit more of a waist as well!